Good news for Bullet fans – India’s leading car designers who makes custom made and modified car designs have forayed into the motorcycle modification business, after a long-break. DC Design forays into the motorcycle modification business in India. The first two-wheeler that went under their scissors is the 500cc Royal Enfield which came out as an all-new product that takes retro-modern appeal to the next level. These exclusive images by Motoroids reveal DC Design’s custom built body-kit for the Royal Enfield 500 models. The Indian aftermarket specialist has decked the macho looking motorcycle with a large, teardrop shaped fuel tank, a saddle-shaped single seat, a flowing rear fender and a minimalist front fender. The side covers and battery sections are very well finished with designer chrome panels. Low Tunnel Stretched Teardrop Gas Tank for DC modified Royal Enfield. The faux carbon fiber used throughout the body is actually a hydro dipped fiber glass. Also the chrome inserts on the either sides are literally a fiber glass parts dipped in chrome. The headlamp is re-engineered with retro styling infused with LED elements. And the stock indicators are replaced with cylinder shaped indicators. 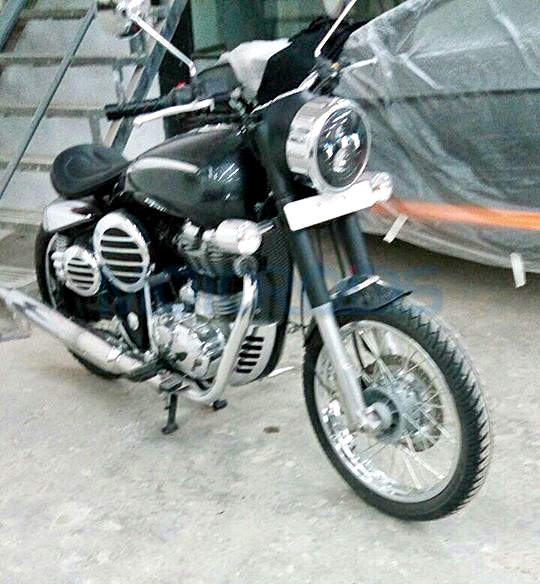 Mechanically, the DC modified Royal Enfield remains unchanged. It gets the stock suspension, frame, handlebars, wheels, tires, instrumentation, brakes and the engine. 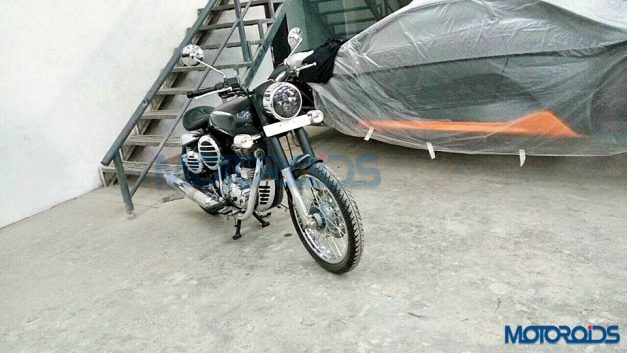 Note the limited edition DC Avanti 310 next to the DC modified Royal Enfield. 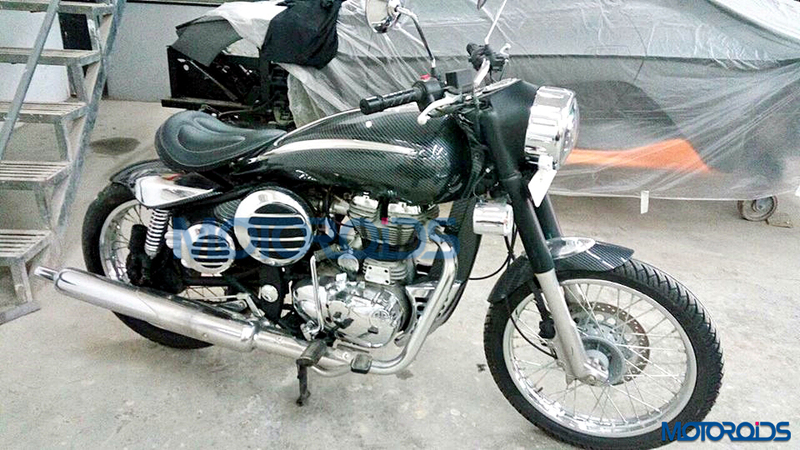 The report also claims that only 5 units of the DC modified Royal Enfield body-kits has been made so far. And this complete makeover package for the Royal Enfield will cost upto Rs 2.5 lakhs, over the price of the donor motorcycle. UPDATED: Known as DC2 CarbonShot kit, this Royal Enfield body-kit is priced at Rs 76,000 and limited 5000 units. Bookings can be made for a deposit of Rs 25,000 and deliveries will commence by June-2017. Next articleProduction Hero XF3R revealed via design patents?